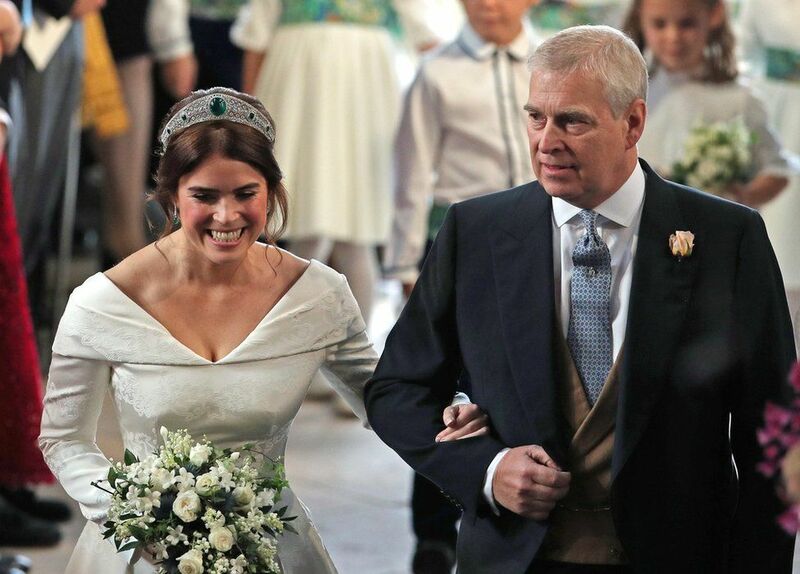 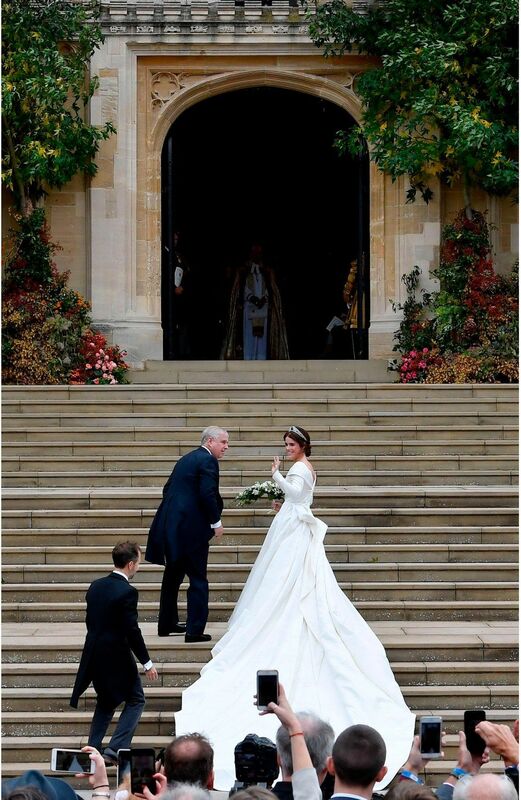 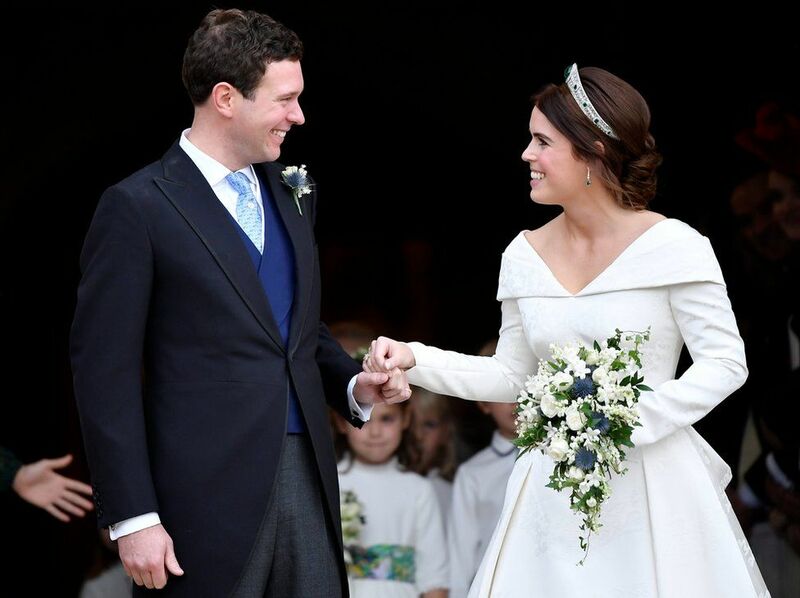 Princess Eugenie of York was widely speculated to wear Erdem for her big day, but the royal bride defied all odds as she arrived in a stunning Peter Pilotto bridal gown. 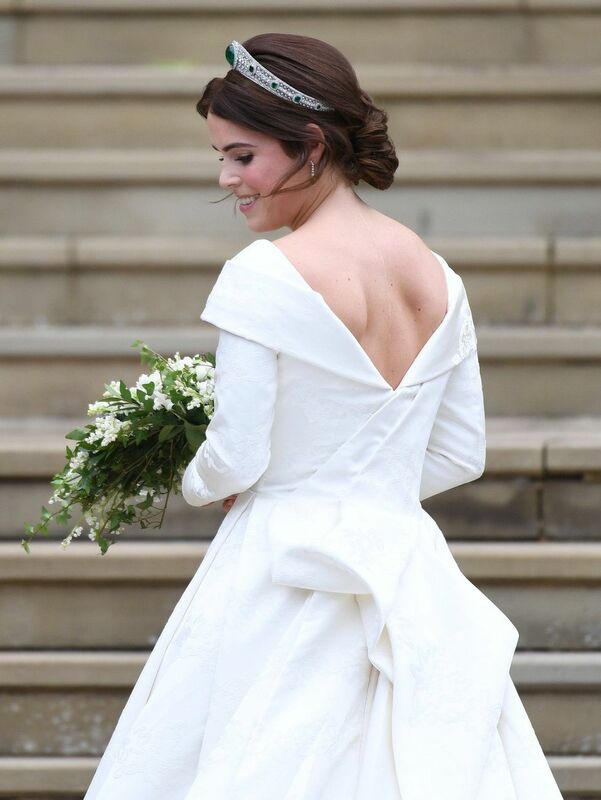 Choosing Windsor Castle for her wedding, the 28 year old younger daughter of Prince Andrew and his ex wife Fergie, looked gorgeous in the special white gown, a plunging v-neck creation fashioned out of jacquard silk, cotton and viscose blend. 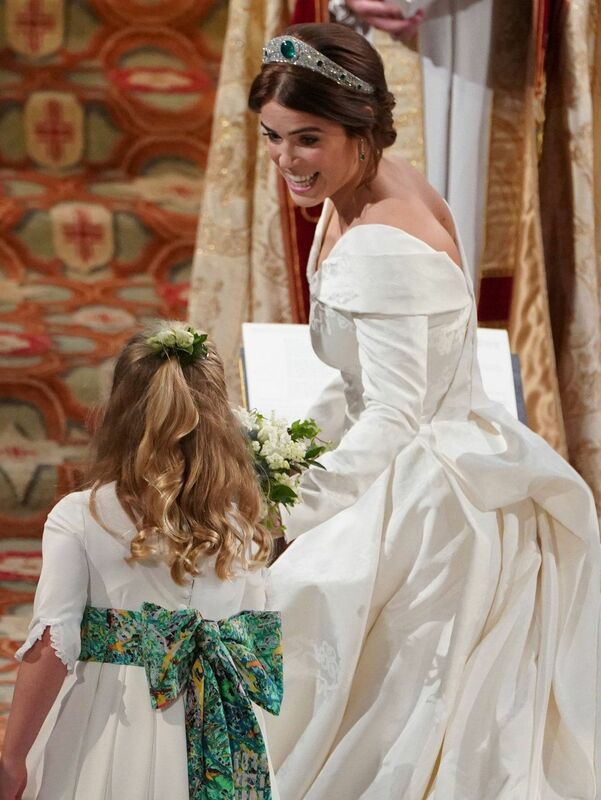 Princess Eugenie proudly put her scoliosis surgery scars on show through the low back of the gown, and her gown also paid tribute to the Queen and her mother Fergie, as it featured thistles to show her love for the Queen's Balmoral estate in the Scottish Highlands, and in a nod to her Irish heritage, a designs of shamrocks was incorporated into her gown. 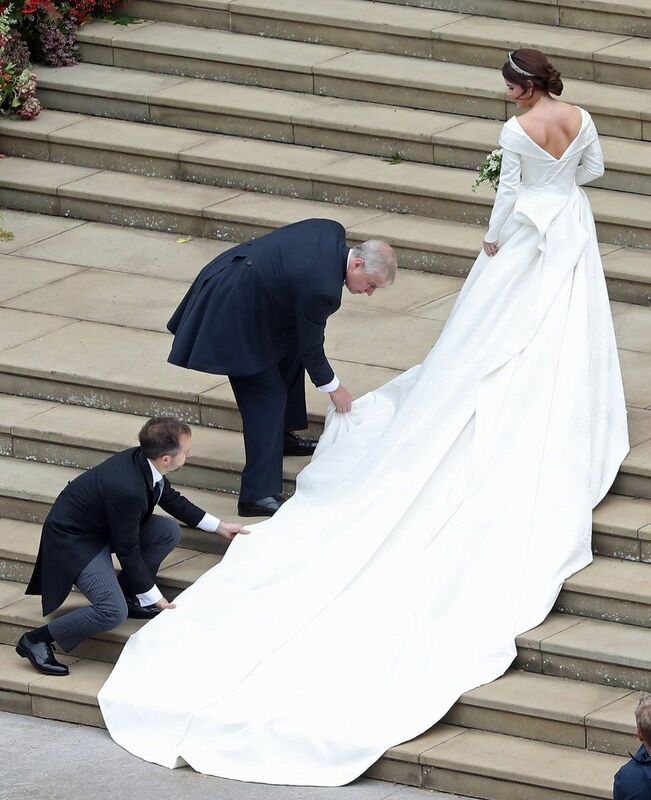 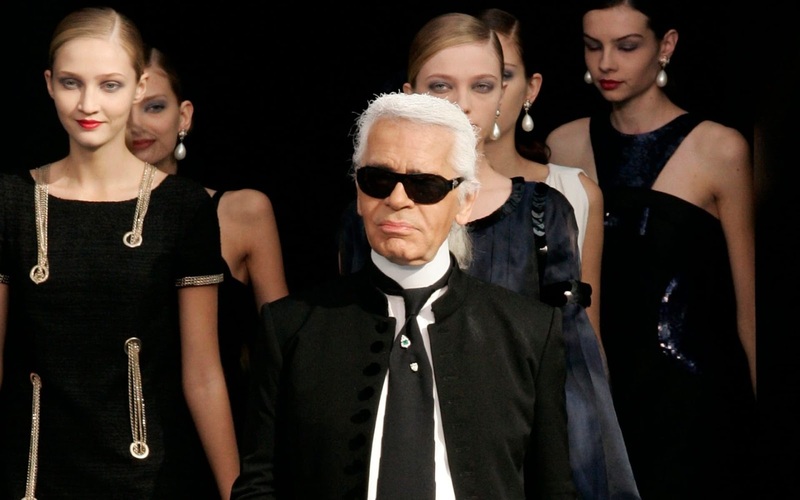 These designs were in garland of symbols done into a jacquard weave, and the sophisticated gown also had elegant long sleeves with a fold-over off-shoulder detail with a voluminous skirt and a long train. 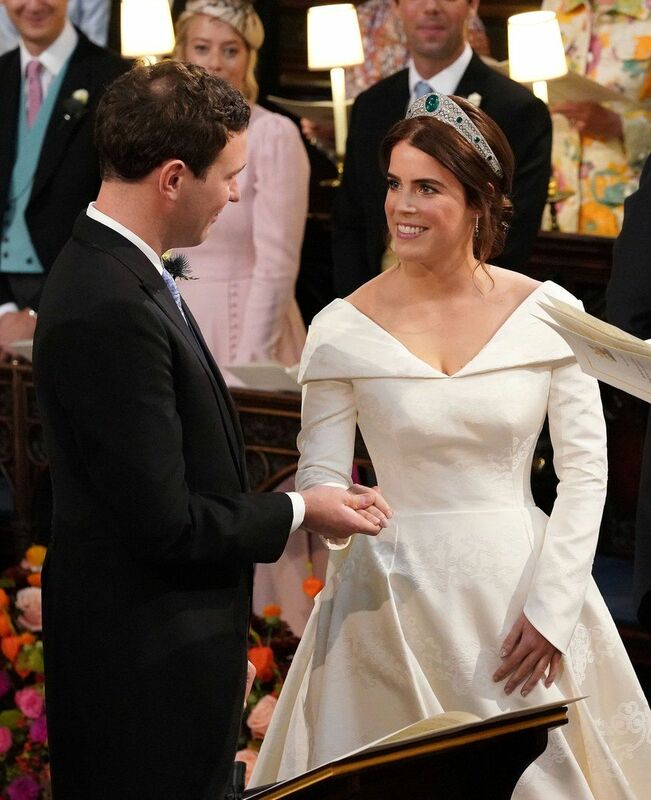 Princess Eugenie was given the Queen's Mother's Greville emerald and diamond tiara and the groom gifted her earrings to match. 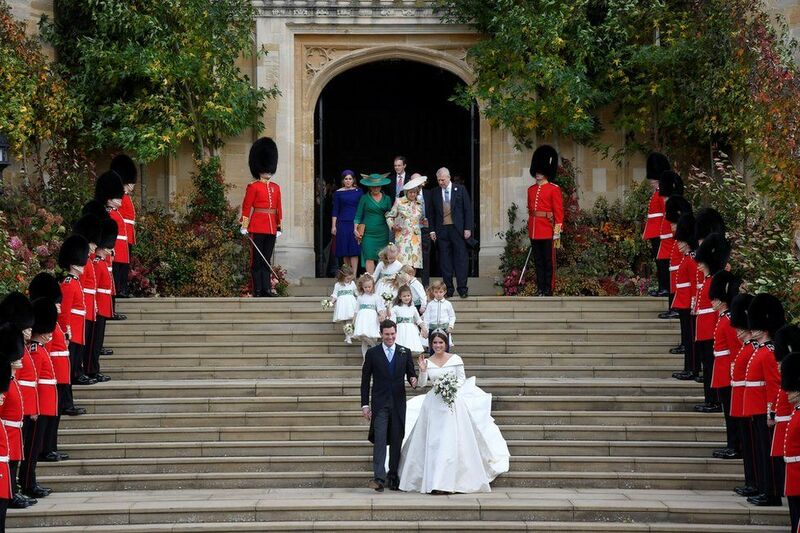 The Princess also wore Charlotte Olympia shoes with her gown, and went sans veil, carrying a bouquet of flowers.